The era of middling Vietnamese food on Brooklyn Height's Montague Street is over. 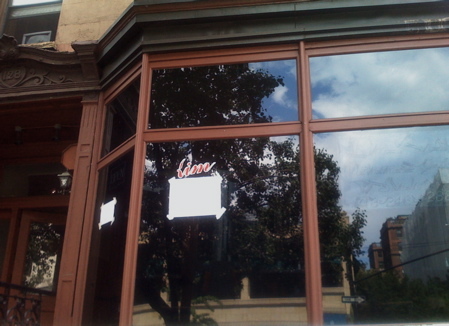 Not that we're not going to be getting really good Vietnamese in the 'hood. Oh, no. Instead, after a little over six months, Kim Vietnamese Grill has shut its doors and is already well on its way to becoming the brand spanking new Ginger Vegetarian. Hmmm...Sounds suspiciously like the former Asian vegetarian tenant Greens. Others in the nabe agree, including Brooklyn Heights Blog. Well, at least it isn't another bank, real estate office or cell phone store. *Note: Photo also courtesy of BHB.